Mitigation for existing housing units and new construction. New requirements will help protect residents in multifamily homes from cancer-causing radon exposure. A number of Federal agencies have partnered with the White House Council on Environmental Quality to launch the 2013 Advancing Healthy Housing Strategy. A major part of this healthy home strategy focuses on radon mitigation and radon testing in multifamily buildings, condos and apartments. Effective immediately, multifamily housing that receives HUD financing or re-financing will require radon testing. If the test results show radon concentration above the actionable level of 4 picocuries per liter, a radon mitigation system must be installed in the housing unit to bring down radon concentration to an acceptable level. Take action today! Contact us today for more information about the new federal regulations for radon mitigation and radon testing in multifamily homes, condos, and apartments. Contact National Radon Defense to locate a radon mitigation and radon testing company in your area. Given the number of people potentially affected by the radon multifamily residences could have, it's important to get the job done right. That's why you'll want to contact a contractor in the National Radon Defense network for all your radon testing and radon mitigation needs in multifamily housing. 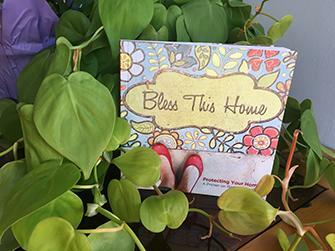 Bless This Home book, by Curtis Drew Founder and President of National Radon Defense, is available for purchase on amazon.com. Warning: High radon levels have been discovered in every state and Canadian province. 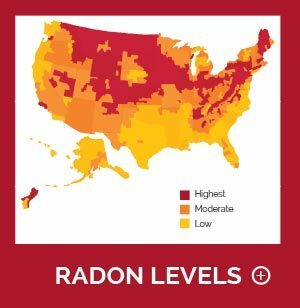 The information on this EPA Radon Map can be misleading to consumers. 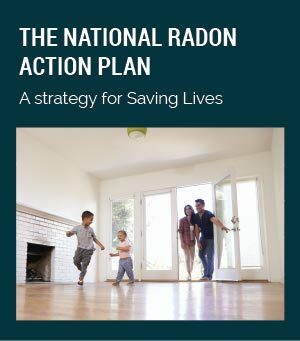 The US Surgeon General, National Radon Defense, Health Canada, and the EPA recommends every home test for radon.